Amsoil Synthetics Dealer of Tampa, Florida. Buying Engine and Transmission oils from AMSOIL Tampa helps the local economy and doesn't go over seas or reduces fuel demand! We can usually have your item shipped to you much quicker if you are just outside the Tampa area than it takes to hunt for a closer dealer if you are outside of the area, then have to wait for them to update their stock. Please contact the dealer listed to the right. Serving the following areas in and around Tampa - St. Petersburg: Apollo Beach, Barlow, Bee Ridge, Brandon, Carrollwood, Clearwater, Curlew, Lakeland, Land O' Lakes, Palm Harbor, Plant City, Safety Harbor, Sarasota, Sun City Center, Temple Terrace and Zephyrhills. The Tampa - St. Petersburg area is one of the fastest growing AMSOIL Markets due to demand and the fact that there are very few dealers handling the area. Florida is AMSOILS top market but there is more growing business in this vicinity. Please enquire or call to order and pick up in any quantity. We look forward to doing business with you. If you own a business, use AMSOIL in house as we offer commercial accounts. These save businesses significant money. Additionally if I should happen to not have your selection in stock, shipping is sometimes more convenient as it's usually only a day to Safety Harbor or Lakeland and 2 to 3 days to points south such as Ft. Myers and Miami from the Orlando Distribution center. Do you want to buy at wholesale all the time? Buy as a preferred customer and get the exclusive home buy packet and monthly magazine. Just enter the AMSOIL store and click on the "Preferred Customer" link and then buy what you need. Pick up AMSOIL at the Tampa dealer center or at the meeting and pay cost. Preferred Customers save money. 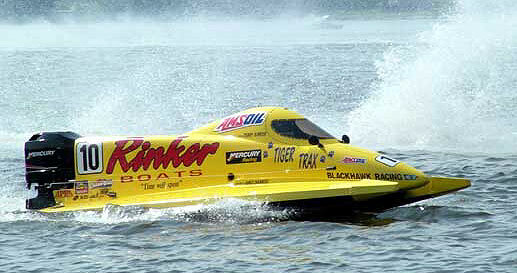 AMSOIL - the greatest teams of racing depend on it! Other brands may fancy up the panels with ads but that is not what's used in the drive train. Many would find it difficult to believe at first but this system typically allows oil change intervals to exceed well over 100,000 miles or even 250,000 when using AMSOIL. We now have many kits for all vehicles, both diesel and gasoline. These have a proven track record with passenger cars, light & heavy duty diesel trucks, school districts, trucking fleets, and all marine applications. The bypass filter is a 60,000 mile filter now. You simply change filters when needed and top off with oil. 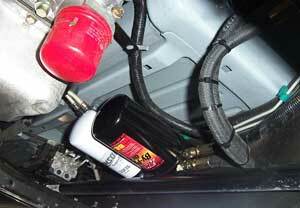 As long as you are using AMSOIL engine oils, the oil will remain below oxidative levels and pass for continued use. There is a high demand for all of our synthetic lubricants in the Tampa Bay area but especially the Motorcycle, Marine, Diesel, and transmission lines. We usually have what you need in stock but generally we ship from our near by distribution center. For your gasoline vehicle try our 100% full PAO Synthetics with our Nanofiber 15 micron 25,000 mile filters. You save gas and stop wasting money at other quick lube centers. Unlike conventional SAE 30 motor oils, AMSOIL ACD has a naturally high viscosity index and does not contain paraffin (wax). It has a -36°F pour point and qualifies for SAE 10W, making it an “all season” multi-grade lubricant with a wide operating temperature range. AMSOIL ACD is formulated without viscosity index improvers (VI). Local Tampa demand has created a great need for AMSOIL dealers in this area. We also need one in the Ft. Meyers area, especially in the rural outlying areas. You get excellent support from myself as I am part of one of the most resourceful AMSOIL dealer groups in the country. We can send local and web generated leads your way. The #1 question we get from local customers is, "Where can I find AMSOIL here in Palm Harbor? Our distribution center can quickly have your product anywhere whether you need 2-cycle for your dirt bikes or ATV oil, or if you have a weed eater you need to last in the corrosive conditions of the Tampa Bay area. Prevent contamination (seal) - We rely on the lubricant to act as a dynamic seal in locations such as the piston, piston ring and cylinder contact areas. This minimizes combustion by-products (for example) from contaminating the lubrication system.